You will find these plants in supermarkets, offices and buildings. Weeping fig, peace lily, lady palm, dumb cane, king of hearts, orchids, lily turf look very beautiful and they are good in purifying indoor air. These plants look beautiful, perfect for indoor settings. It is also known as Benjamin's fig or ficus tree. Ficus "Alii" (Ficus macleilandii) (Banana Leaf Fig) is similar to it. This plant filters formaldehyde, benzene, trichloriethylene and other toxins. 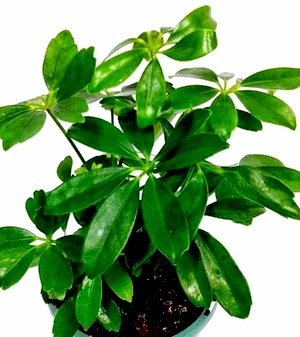 This plant is popular in homes, offices, malls and other public buildings as it has shiny leaves to add cheer to any indoor space. Keep the plant in high light situation avoiding direct sunlight. The low light level will cause the tree to lose a lot of leaves. Plant in well draining soil. Moderate watering. The plant can be sensitive to changing conditions, so it doesn't much like being moved. Weeping Fig may be toxic to pets and children. 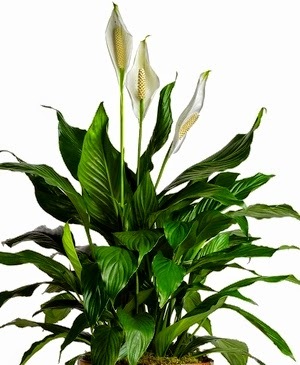 Peace Lily is a general air cleanser filtering benzene, formaldehyde and trichloroethylene. It can remove mold spores from air, so it is good for high humidity areas like bathrooms and laundry room. It releases a large amount of moisture into the air. Place it in low light areas, do not place in direct sunlight. Too much light can harm the plant. Watering only when the soil is dry. Too much water can kill the plant, but keep the soil always moist. The peace lily blooms indoors. The Umbrella tree is also known as Octopus Tree. It also cleans indoor air as other house plants. Place this plant in a semi-shade location. 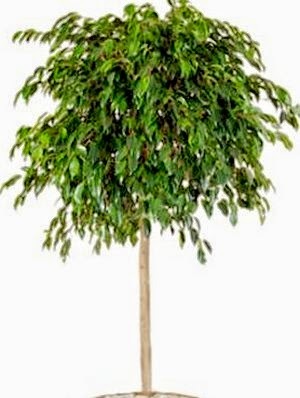 a mature schefflera might have 12 or 16. Schefflera arboricola (sometimes called dwarf schefflera) feature smaller, glossy leaves, sometimes with creamy variegation. Allow the top of the soil to dry out between watering. 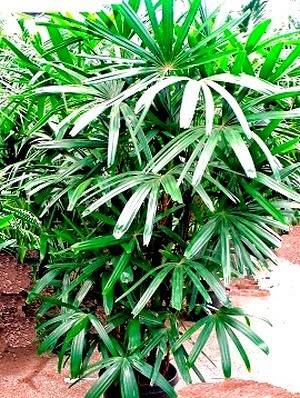 This palm improves air quality effectively by removing indoor air toxins. Keep in bright indirect light. Too much sun will cause the leaves to turn yellow-green. It is highly resistant to insects. Like other plants, it cleans the indoor air. To maintain a healthy plant put it in indirect bright light. It can tolerate semi-sun to semi-shade light conditions. They like a really good watering then to be left alone to dry out for a bit. Dumb Cane is a fast growing plant. The Dumb Cane is poisonous, but it rarely kills human or animal. Avoid coming into contact with the sap. This heart-leaf plant cleanses the air and replace the toxins with beneficial oxygen. The King of Hearts is also efficient in removing ammonia from the atmosphere. Place this plant in semi-shade to shade area. It is a slow growing plant reacheing about 6 inch in height with a much wider spread. It has dark olive-green, oval-shaped leaves with silver areas. 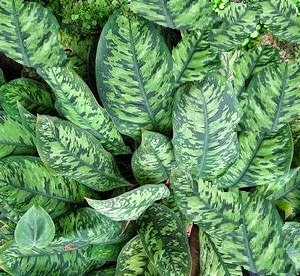 It looks similar to Aglaonema plant. Keep the soil evenly moist with soft water such as rain water. Dendrobium orchids remove xylene from the air , which is found in many glues and paints so they are good for a new or renovated space. Orchids give off oxygen at night, so they are ideal plants for the bedroom. Dendrobium has beautiful exotic flowers of white or purple and white or orange colour in a row along canes. Flowers are long lasting up to six weeks. The plant like strong, natural sunlight, however, they will grow in lower light conditions. If the tiny plantlets on older canes (called keikis) appear, it means the plant probably is not getting enough light. Dendrobiums like high humidity and lots of water during growing time. 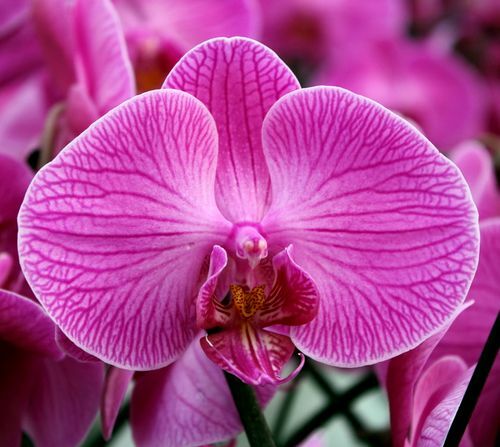 Moth Orchid removes xylene and formaldehyde from the air. 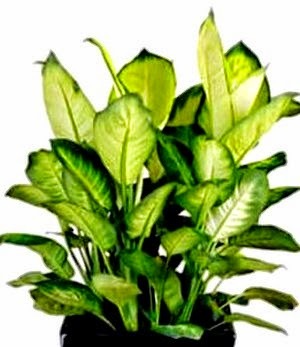 They are very good plants for indoor air purification. Place the Phalaenopsis plant in partial sun or a bright window. Diffused light or early morning light in an east window is good. The Moth Orchid is one of the best orchids for growing in the home. They are generally annual plants and only flower once. Phalaenopsis are epiphytic plants, they attach themselves by their roots to a tree or rock, so their roots are not in wet soil. Over-watering is the number one cause of death of moth orchid. Keep the Phalaenopsis plant warm. Lily Turf, also known as Monkey Grass, improves indoor air quality. It filters formaldehyde, xylene, toluene and ammonia from air. Lily Turf, a herbaceous, falls under Ornamental Grasses and Bamboo category, flowering evergreen that has a grass-like appearance. 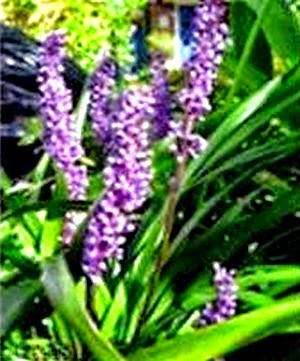 It produces small spikes of white or lavender flowers. Its leaves reaching 6 to 18 inches long. May be dark green or variegated. Place the plant in semi-sun to semi-shade place.